Pacific Pinball Museum Hosts State Championship! ALAMEDA, Calif. /California Newswire/ — The Pacific Pinball Museum (PPC) today announced that the body that ranks the world’s best pinball players, the International Flipper Pinball Association (IFPA), is coordinating the second annual State Championship Series finale, a competition held simultaneously across 33 different states on Saturday, Feb. 7, 2015. 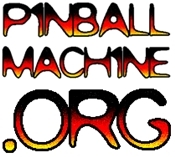 This year’s competition in California will be held at the Pacific Pinball Museum (PPM) from 1 to 5 p.m. at 1510 Webster St. in the San Francisco Bay Area’s charming island city of Alameda.